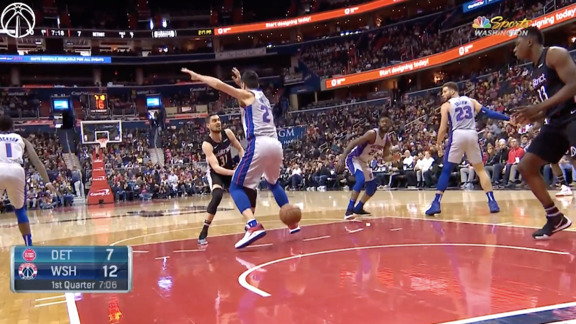 On the Offensive: Inside the Wizards "Princeton Offense"
Eddie Jordan calls for his team to run one of the many offenive options (which is an understatement) available. It’s a scene that happens every day in all kinds of offices. Co-workers get together and brain storm and talk about ideas. In the summer of 2001, it happened in New Jersey in the office of some prominent basketball coaches. The Nets were coming off their first season under the direction of head coach Byron Scott. He and his assistant coaches, including Eddie Jordan and Mike O’Koren, are discussing ways to improve on a 26-56 season. It is August and training camp is just a round the corner and they are excited about the addition of All-Star point guard Jason Kidd. The discussion is about their offense and they talk about what they have done in the past and what they want to do in the upcoming season when Jordan brings up the "Princeton Offense". Scott, who coached with Jordan in Sacramento is receptive and suggests they go to the practice facility and bring it to life. 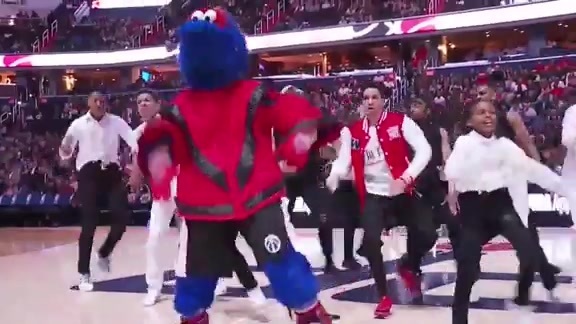 So the five Nets coaches get on the floor, and with Jordan serving as the choreographer they run through the motions of the “Princeton Offense”. They are in their office now, but suddenly it is not just another day at the office. So Scott gave Jordan full permission to implement the offense with the Nets. It worked. The Nets finished 13th in scoring in the NBA (96.2) but had five starters average in double figures. They went all the way to the NBA Finals where they lost to the Lakers, but in one season they had gone from Eastern Conference doormat to NBA title contender. At the time Scott told Sports Illustrated: “The Princeton offense is old-style basketball. Dribble, pass and shoot. I always thought it's the way the game was supposed to be played." In the summer of 2003, the Wizards joined the Ivy League when Jordan was hired as head coach. Jordan brought the Princeton offense with him. Like the buzz created in New Jersey, there was genuine excitement back in Washington. It is ironic that in the age of flying slam dunks and plays designed for highlight shows, an offense that stresses fundamentals is able to make a difference. It did and still does in New Jersey (under current Nets head coach Lawrence Frank) and now the gospel has been spread here to Washington. It was in Sacramento that Jordan got religion. He was an assistant coach to Gary St. Jean, along with former Princeton coach Pete Carril. Carril stayed on when Jordan took over as head coach late in the 1996-97 season. He absorbed the offense from Carril and he became an ardent believer that an offense more than a half century old could make a difference in the modern NBA. “Being an assistant under Peter Carril at Sacramento really helped me understand the offense. I feel like that I was fortunate to learn it from the ‘Master’ himself, instead of learning it second-hand. I received great lessons and learned about the origin of the offense,” Jordan recalled. The weave may even go back further than Jordan thinks. According to the Princeton Alumni Weekly, it was Franklin “Cappy” Cappon that put the five-man weave offense in place when he was hired to coach the Tigers back in 1938. It’s been described as an offense that keeps all five players in motion with players handing the ball off above the key, in order to create open shots and lay-ups. Jamison and Arenas run a variation of the offense's "dribble hand-off". It is an offense that takes time to learn. Instead of fighting through defenses, players have to be conditioned to read defenses. They have to move without the ball and make back door cuts. The options seem endless which makes the learning curve gradual, but when mastered can leave opposing defenses puzzled. “That is what attracted me to the offense. It has a lot of movement. Everyone feels they’re a part of the scoring process. Even though it is just one player scoring, the other four players played an integral role in helping with that process. We always say: ‘You play with your teammates and against the defense,” Jordan noted. The offense is as much game plan as it is tradition now at Princeton. It may have started in 1938 with Cappy Cappon, but the coaches that followed at Princeton worked off his blueprint. Butch van Breda Kolf, who once coached the Lakers in the NBA, was one of the coaches who enjoyed success with the weave offense at Princeton. Pete Carril replaced van Breda Kolf, and in his 28 years at the helm the Tigers earned a reputation as “giant killers” by running the weave that started in 1938. For Wizards forward Jarvis Hayes, it is all the ball movement that makes it great. Jordan goes over the team's offensive strategy during a time out. The offense is different. The positions are different, or at least they are viewed in a different way. Basketball is usually thought of in terms of point guard, shooting guard, small forward, power forward, and center. “It’s not one, two, three, four, five like most teams do. You have two guards, two forwards, and a center. The guards and forward spots are interchangeable, the center is the only position that is not,” noted O’Koren. In fact what may get lost in understanding the Princeton offense is the critical role played by the center. It really starts with where the center is positioned. He could be down low on the block (in the post), at the elbow (by the foul line) or at the top of the key. In effect there are three different versions of the offense and then several sets that develop out of each version. To put it simply, it’s a chess match. 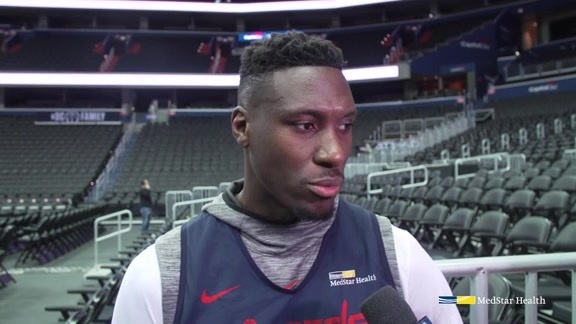 The Wizards will see what the defense offers and than try and take advantage by using the multiple options that come out of every set. Hayes looks to make a backdoor pass to a cutting teammate. Frequent motion is the name of the game in Washington. With so many options it is also a hard offense to defend. Ahh, the old back door cut. It is a play that is probably as old as the game itself. A player on the wing suddenly will move in towards the basket, receive a bounce pass from a guard on the perimeter, and often will find himself with no defenders between him and a lay up. It’s the favorite part of the Princeton offense for many players including a shooter like Jarvis Hayes. Also, in this age of zone defenses, the Princeton offense helps to create space on the floor. To try and negate a key player, a team can “load up” or put an extra defender at the foul line or down on the box on the side of the floor with the ball, and those players do not have to guard anyone as long as they are outside of the lane (per NBA zone rules). Using this defensive strategy is a way to essentially create a defensive traffic jam. Because of the movement involved in the Princeton offense, it makes it difficult for opposing teams to “load up” on one particular guy. I have been in situations where it’s like you couldn’t move. With this offense there is space and there is always opportunity to get decent shots. That’s something that is rare in this game,” Jamison added. The Princeton offense used to be rare in the NBA game. It has not taken over the league, but it has certainly made its mark in New Jersey and Washington. And in this business of basketball a mark is defined by post-season success. 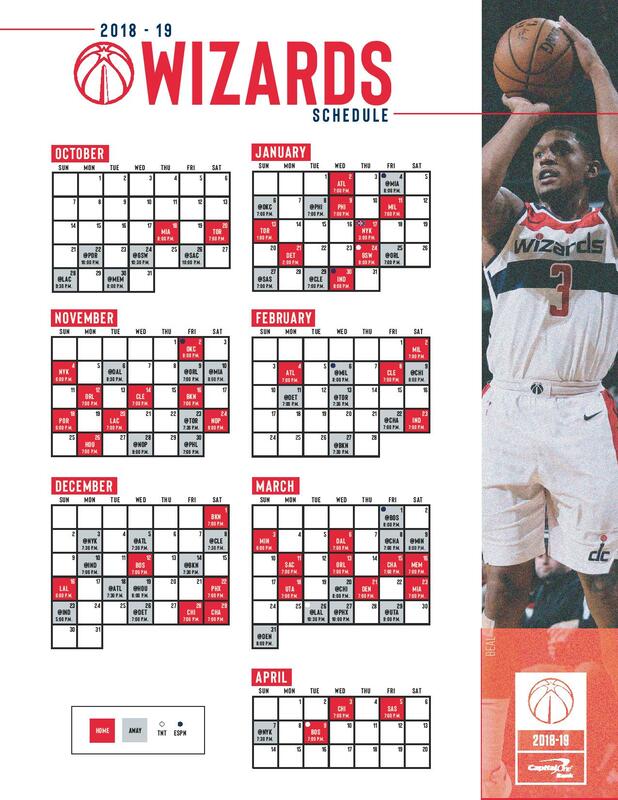 This article was originally printed in the second issue of the 2006-07 edition of Wizards Gametime, the official gameday publication of the Washington Wizards.